SaNaRae, Peaches, INIA and More! Hiya! I have been having computer issues again. The new firestorm hates me but I think I have finally whipped it into submission. Still… I can’t wait to get a new computer!! The robots from peaches will be out next week at The Geeks n Nerds Fair. robots: peaches – Cutest Lil’ Robo *new* and soon to Geeks n Nerds fair. pose comes with the mono wheel! 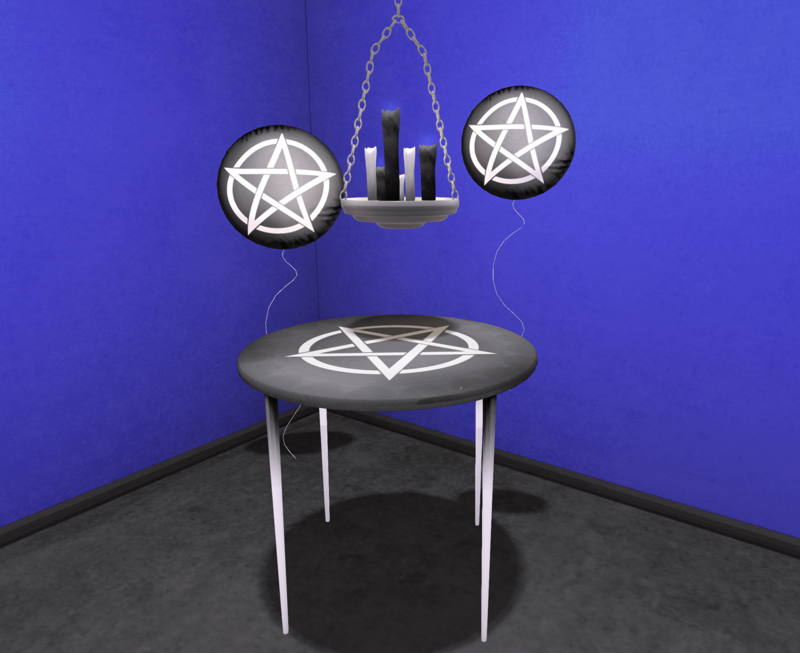 photos taken at Arcanum Magic Shop. This looks is like what would have happened if A Clockwork Orange was inspired by an Occult and Cat loving school girl? I dunno. But it’s cute. And there is free pizza (at xin). Havenhallow is back again this year! 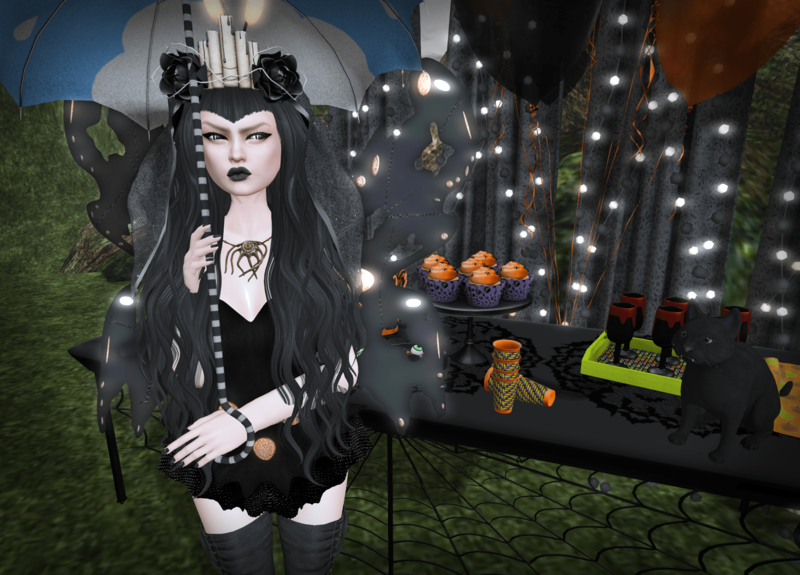 If you haven’t been in the past few years, be sure and go check out the trick or treating! candy bucket: Free when entering havenhallow! 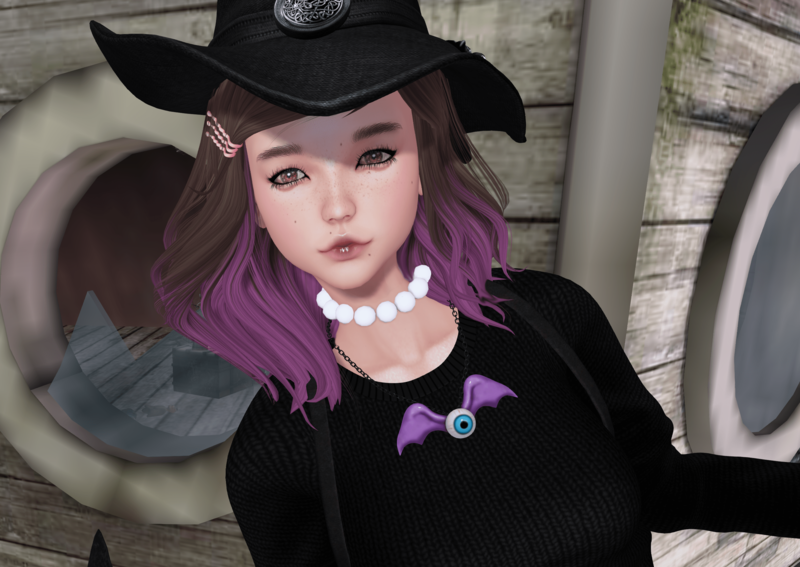 poses by kirin – Rini *new* for fifty linden friday. 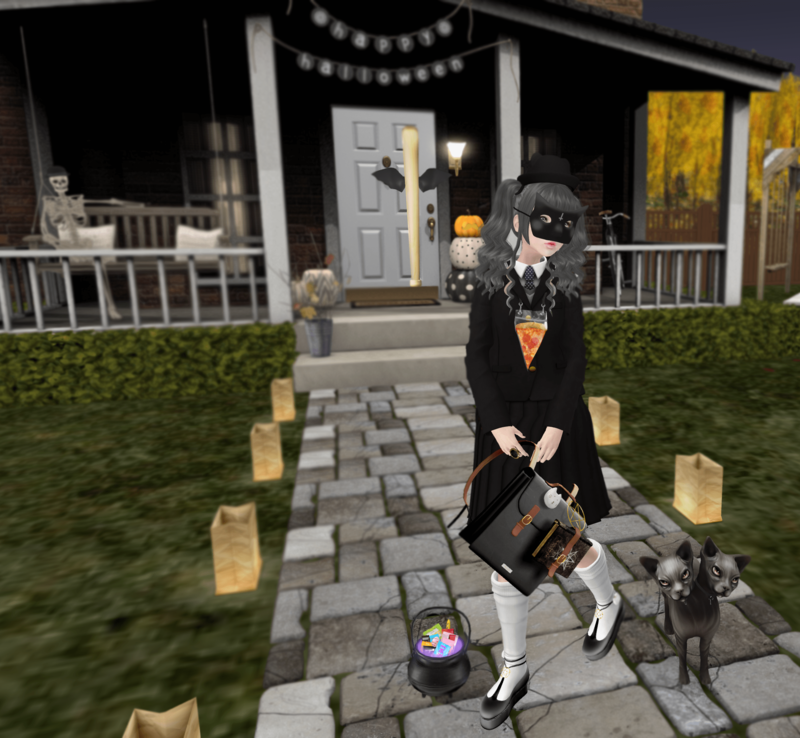 photos taken at havenhallow.